The various video qualities on the YouTube video portal are confusing part of the site's userbase. YouTube videos can be viewed in the original quality, in a screen resolution of 320 x 240 pixels but also in various other formats like 480 x 360 or 1280 x 720 which are further divided into various frame rates and audio encoding qualities. Confusing to say the least as it takes quite a few clicks to find out about the supported video sizes and other video related information. Youtube HQ is a Greasemonkey script that takes that burden away from the user. The script can be configured in two ways: The first mode which is also the default one will always display the video in the highest possible quality on the YouTube website. It will automatically increase the screen size to fit the video on the screen. This makes only sense if the computer is connected to a computer monitor that is capable of displaying the high resolutions. The second mode of the Greasemonkey script will always load the low quality version of the YouTube video which is excellent for users who are accessing YouTube with a low bandwidth connection or from a system with a small computer monitor. The benefit of using the Greasemonkey script is obvious. It will automatically resize YouTube videos according to the user's configuration of the script. Check out out article YouTube Video Download to find out how to download videos from YouTube. 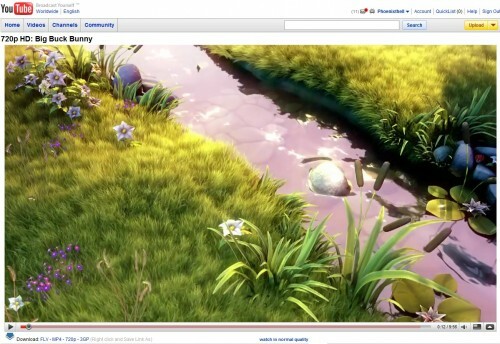 Firefox users can install the YouTube video quality manager add-on which provides them with a similar functionality. You can alternatively configure the Playback settings on YouTube directly. The options that you have here is to switch from "Always choose the best quality for my connection and player size" to "I have a slow connection. Never play higher-quality video" instead. There is however no option to select a preferred video quality here. A third option is the YouTube userscript which enables you to set a fixed video quality setting. Thanks Martin, Great app. Ferry handy.